Medical marijuana is sweeping the nation in 2018, with 30 states adopting legal medical marijuana laws. Many people have heard about CBD oil and the health benefits it can have on one’s health. Your THC Doc is a state-approved medical marijuana doctor and can help you obtain CBD oil in Greenacres, or full strength marijuana, to treat any approved condition. 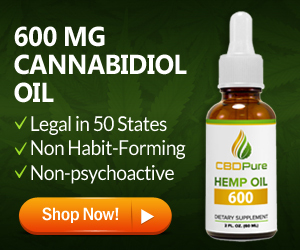 There are a couple ways to buy CBD oil in Florida legally, below we provide step-by-step guidance for patients. 1) People that want to take a regular CBD dose for general health may either make an appointment with our medical marijuana doctors. At your initial appointment, your 420 doctors will create a custom tailored CBD, or THC treatment plan to meet your healthcare needs. Then your application to the Office Of Medical Marijuana Use will be submitted and you will need to follow up on a few things. Confirmation of your Greenacres, FL residency. 2) For those people that do not want a medical marijuana involved or cant pay, the fees associated with an MMJ card can still buy CBD oil in Greenacres. Since CBD comes from a Hemp marijuana plant it only contains trace amounts of THC, the part of cannabis that you need a 420 doctor for, in Florida. On the contrary, it contains massive amounts of CBD which is non-psychoactive and legal in all 50 states. If patients have a serious illness we advise making an appointment and going through the expense needed to become legal for marijuana in Florida. A trained MMJ specialist can help you treat symptoms of the following illness successfully with medical marijuana in Greenacres, FL. or any other illness our Greenacres marijuana doctors feel cannabis’s health benefits outweigh the health risks. Our CBD doctors are conveniently located at, 2188 Jog Road Greenacres, FL 33415. We are currently taking new patients and want to help our local community feel better, using cannabis. We happily serve medical marijuana in Greenacres, Lakeworth, Boynton Beach, West Palm Beach and Palm Beach County Florida. For more information about medical marijuana in Florida, you can gain free access to cutting-edge information online. Sign up for updates on new Florida marijuana laws and cases making their way through the courts in 2018, 2019. Like the right for approved patients to grow their own marijuana plants, and whether or not Florida will allow smokable flower.